Miles Franklin has been in business for 27 years – with an A+ Better Business Bureau rating, and not a single registered complaint since opened our doors in 1989. The company is still owned by the father and son team that founded it, Andy and David Schectman; and our brokers, on average, have been selling bullion since the early 1980s. For a variety of reasons – from our sterling reputation; to competitive sale prices; the industry’s best “buyback” prices (particularly for Miles Franklin customers); an industry-leading storage program, featuring per ounce pricing; and of course, this entirely FREE blog, we emphatically believe Precious Metal dealers are decidedly not “commodities” – even if our primary products are. That said, whilst our “raison d’etre” is generating an honest profit, educating consumers is self-evidently a labor of love. Between David Schectman, who started the Miles Franklin Blog long before the internet existed – and still writes for it today, in semi-retirement; to Andy Schectman; myself; and until he recently left to join Jim Sinclair, Bill Holter; all of us cherish the ability to disseminate truth in a world of lies, propaganda, and misinformation. And nowhere more so than in the highly opaque Precious Metals industry, where strong communicators are few and far between. Which is why, I might add, Andy Schectman and I have experienced strong attendance at our free, nationwide “Q&A Rap Sessions,” such as those held this year in Denver, Minneapolis, Phoenix, and Ft. Lauderdale. Which will most certainly be replicated at this Friday’s event in Houston (email me at ahoffman@milesfranklin.com if you’d like to attend); June 24th in Chicago; and thereafter. Regarding today’s “special supplementary” article, we have for years answered investor questions about the risks of bullion counterfeiting. Which, until recently, were close to zero – particularly regarding smaller denominated coins, as in one ounce or less. And of course, we’re only talking about gold here; as silver, as yet, is too inexpensive to even dream of profitably counterfeiting; whilst platinum is too scarce, with too narrow a supply chain, to reliably source. Until very recently, we had NEVER seen a counterfeit one ounce gold coin. Although we have, from time to time, seen the “counterfeiting” of bullion coins (nearly invariably, in China) – which didn’t try to pass “gold-plated” coins off as pure gold; but instead, tried to make actual bullion coins appear to be numismatics. However, modern times have brought modern technologies – and with them, modern fraud. Thus, atop our ongoing advice to avoid larger denomination bars (10 ounce-plus) from non-government mints – as exemplified by the 10 ounce bars discovered in 2012 to have been gold-plated tungsten – we want to emphatically remind you of the risks of buying from unreliable sources, that do not guarantee the authenticity of their products. And since Miles Franklin is one of just 27 U.S. Mint primary dealers; working with the largest, most reputable wholesalers in the world; of which, nearly all of our business regards the sale of newly minted government product,; the odds of “something going wrong” regarding the authenticity of your coins is as close to zero as you can get. 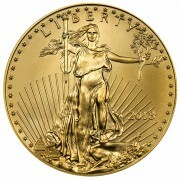 DO NOT buy gold coins from eBay, Craigslist, or any vendor that DOES NOT guarantee the authenticity of the coins. That’s because Chinese fakes have flooded the market. So, that super deal you found on eBay? It may not be so super after all. These crooks love to sell their fake coins on the internet. But it used to be that the Chinese sold only fake “rare” gold coins. Made out of real gold, they were copies of coins with numismatic value. Today, the Chinese are going for volume. 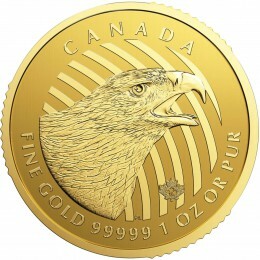 They are making “gold bullion” coins out of metals including lead, zinc and – especially – tungsten. And there’s the problem. Tungsten has very high density. It is very close to the density of gold. Some of these Chinese fakes are extraordinarily artistic, too. They are crafted with lasers to exactly replicate the look and shape of the real thing. In the old days, coin dealers could easily tell a bogus coin by its weight, its color and how it reflected light. China’s new laser-crafted, tungsten-filled coins are very difficult to spot from a distance. Especially if the resulting fake coin is plated in gold. Factories in China are busy churning out thousands of fake American Silver Eagles, Canadian Maple Leafs and U.S. Buffalo coins. They’re sold everywhere from flea markets to eBay and Craigslist. In many cases, you’ll likely be tipped off because the deal seems too good to be true. Or maybe the price will be just under the price of a reputable dealer. You could end up paying golden prices for a handful of tungsten. We’ve seen tungsten used to fake out the gold market before. In September 2012, there were reports of a bunch of 10-ounce tungsten gold bars bought and sold in New York’s jewelry district. So the Chinese have been at this for quite some time. In fact, they’re quite brazen about it. One example is a company called China Tungsten Online that hawks “gold-plated tungsten coins” on its website. The web page says: “Our product is only for souvenir and decoration purpose. Here we declare: Please do not use our gold-plated tungsten alloy coin for any illegal purpose.” I’m sure that covers the legal bases. “Well,” you might say, “Sean’s a worry-wart. I’ll continue to buy gold coins on eBay. I’ll just make sure I buy only from sellers with good reputations.” Hey, it’s not as if eBay reputations can’t be pumped up or faked outright. And if you get into a dispute with a China-based scam artist on eBay, don’t be so sure that eBay will take your side. Know your bullion dealer. If someone hasn’t been in the business for at least 10 years, find another dealer. Make sure the dealer has counterfeit-proofing measurements in place. They should be able to assure you they never accidentally bring fake bullion products into their inventories. Make sure your bullion dealer guarantees the authenticity of every product they sell. If not, keep on cruising. (Fortunately, a new device) called a Precious Metals Verifier, or PMV,(is now available). The PMV is made by Sigma Metalytics. It’s designed specifically to check for counterfeits. How it works: The PMV uses the known resistivity – or specific electrical resistance – of precious metals of varying purities to test if a coin is genuine. The PMV can even test most coins that are in album sleeves or plastic cases, making it a convenient and non-destructive option. 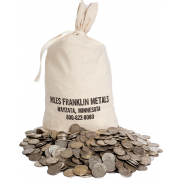 “We sell PMVs to our customers and especially to other coin dealers,” Mr. Millman added. Word to the wise: A PMV is not quite as expensive as a 1-ounce gold coin… but it’s still pretty pricey. If you’re not in the business, you might want to leave the testing to reputable dealers. Please not that I bolded the sentence “In many cases, you’ll likely be tipped off because the deal seems too good to be true. Or maybe the price will be just under the price of a reputable dealer.” Again, we cannot emphasize enough, that in a highly commoditized industry (product, not service), anyone consistently selling below the cost of primary dealers like Miles Franklin should be a major red flag, given that we can source bullion as cheaply as anyone in the business. In other words, you may well be “Tulving’d”; “Bullion Direct’ed”; or Northwest Territorial Mint’ed.” Or in the case of buying online, from unknown sources, you could easily become the victim of a counterfeiting scam. “We take pride in our ability to detect and turn back counterfeit gold and silver coins and bars. We use the latest technology available to accomplish this, including electrical resistivity and radiographic testing, x-ray spectrometry, ultrasound, as well as well-trained eyes resulting from decades of experience. Our primary sources of bullion coins and bars are direct purchases from the refiners and private and government mints that produce them. However, the secondary market is always very active and we are active bidders in all types of bullion products, so we inevitably wind up purchasing metal from “secondary” sources. Because this market entails a break in the “official” chain of custody, all products which we purchase in the secondary market are required by company policy to undergo special intake quality control procedures. Recently we purchased several dozen 1 ounce gold Krugerrands from a dealer in another state. During our initial testing telltale anomalies were detected in the composition of the coins, and so the entire batch was then put through our most advanced level of testing. One of the two coins above is a counterfeit. Can you spot it? The coin on the right read appropriately on our Sigma Metalytics resistivity tester, but the coin on the left failed this preliminary test. Make note of the fact that the coin from the left is a more “golden” color than the coin on the right. Next, the offending coin was tested using x-ray spectrometry, which provides a molecular readout of metals being scanned, up to about 10 microns deep. Notice that the purity of the Krugerrand from the left is 97.49%. This is far above the appropriate 91.67% purity of an actual Krugerrand. Notice also that the readout says “Gold Plate Suspect”. By angling our x-ray into the cut, we were able to see that this coin was actually composed of a planchet struck from Germanium, Nickel, Zinc and Copper. A heavy 23k gold & copper plating was then added to the planchet. It appears they were attempting to alloy the plating to approximate the 91.67% purity of a proper Krugerrand, but they failed to perfect this technique for now. Even if they had managed to do so, the electrical resistivity and “drop test” would not have been passed by this piece. By all accounts this was an incredibly sophisticated counterfeit Krugerrand. The thickness, diameter and weight were all 100% on spec. It easily fooled the traditional “gold fisch” test kit, which measures these attributes, and came in at an even 33.9 grams on the scale. In total, there were 2 fake gold Krugerrands that we pulled out of 40 that were sold to us. 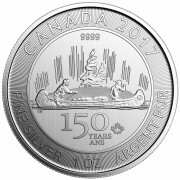 In the next image, the coin on the left is the counterfeit. You can see that the detail in the beard and the hair is washed out. This is due to the casting technique used by the counterfeiter. Although it was a very advanced casting technique, it still shows the telltale lack of perfect detail when compared to a genuine piece. This fake coin was mostly gold, however. But, the purity was a couple percent lower than it should have been. Why anyone would attempt a counterfeiting operation like that is beyond me. It would take passing 100 fake coins off before a decent “take” could begin to be made.